Aerial Abs is a 45 minute Aerial class designed to target your powerhouse!! Working with the sling forces you to engage the core due to the unstable nature of 'hanging'. Each exercise or posture focuses on working the core, some subtly and others more obviously. There are no upcoming “Aerial Abs” classes on this day. This class was a real sucker punch to my abs - warning: you WILL be sore after. 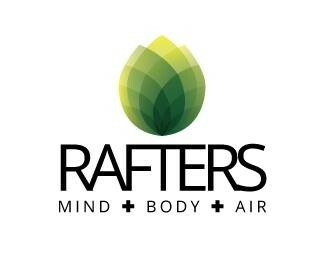 If it's your first time at Rafters or using a sling I'd recommend trying a different class where you get a bit more variety and fun. Not to say the class wasn't fun - there was great energy in the room and most of the class clearly new each other and were cracking jokes. Recommended! Intense ab workout you will feel the next day. The instability of the silks and inversions really makes you work and targets the core. Instructor was supportive and gave clear instructions. Awesome class, such a great workout, really lovely instructor, can't wait to go again! A great challenge for your core using the slings.